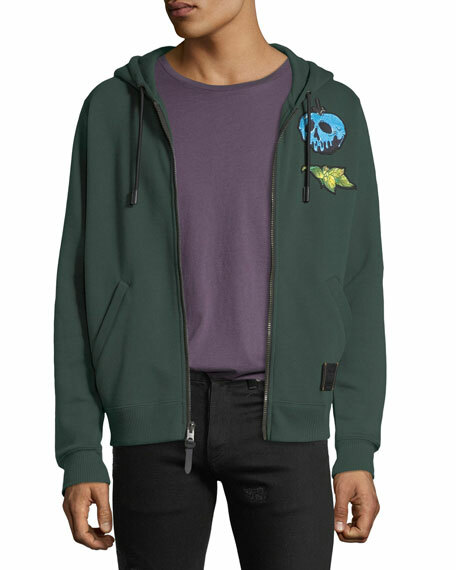 Coach hoodie from the Disney x Coach: A Dark Fairy Tale collection. Poisoned apple applique at left chest. 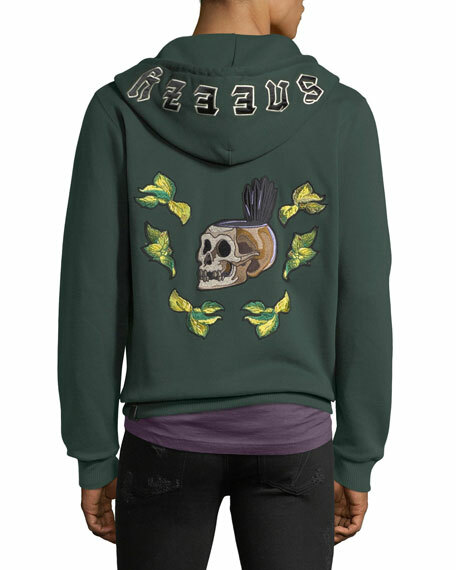 "SNEEZY" gothic applique on hood. 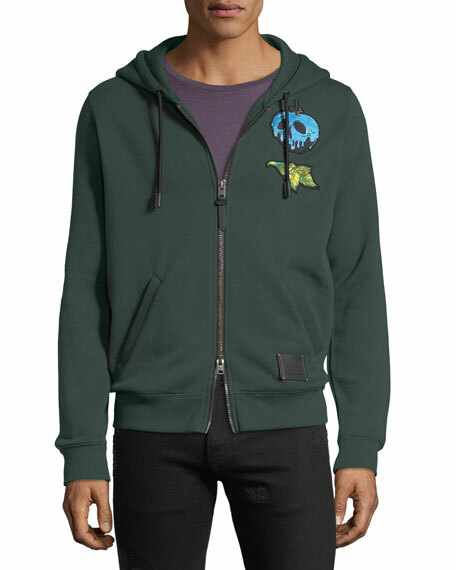 Drawstring, hooded neckline; zip front. For in-store inquiries, use sku #2642275.